Mod | Welcome to the Underground. Learn about XBMC, I have this on my xbox as well. If interested, let me know and I will show you how to install it on your modded xbox. Guys, I was looking around at LifeHacker and I was brought to this article where this guy used rubber elastic bands from his craft store to tie up his hard drive. The effect? The elastic bands takes case of the vibrations, so it does not go through the rest of the case. Pretty cool, eh? Of course, there is a slight temperature rise in the hard drive itself, since it is not secured to the hard drive chassis for conduction. The Underground: How did you get involved into PS2 mods? Musicmasteria: Well, I wanted to back up my games and without any form of modding at the time, I couldn’t do that. So I left it alone and continued my life. Then, while looking around on afterdawn.com I found a simple template for a slide card. Then I decided, I could make a better template than that so… I did. I first created my own slide card and tested it (without swap magic at the time) and it worked so I made a template and put it on my website. I then decided to spread my template to You Tube and created a tutorial and that is what you see today. The Underground: How did you decide to go the slide card route? Have you tried any other methods such as HDALoader, or memory card exploit? Do you have an original slide card? Or did you make one up from a template? Musicmasteria: I decided to start with a slide card because I had the means to make one for free. I don’t have a HD for my PS2 so I haven’t tried HDALoader but, from what I have read, it is a very good mod. Quick load times were a large factor for that. I have however tried USBAdvance. I didn’t really get it to work for me that well but I have seen it work on You Tube videos. I do not own an original slide card. Why would anyone spend $5 on something you could make for little or no cost with my tutorial? My first slide card was my own interpretation of a simple template I found on afterdawn.com a long time ago. The Underground: How big is your PS2 game library? The Underground: What is the most common question you get on your You Tube video? Musicmasteria: *Laughs* I get a lot of the same questions on my You Tube video. A common one is: “What does a slide card do?” or something along those lines. I don’t know why people ask this when there are so many other videos on You Tube saying how to use swap magic and slide cards. Another question is: “Where can I download games?”. I can’t really tell you that but if you really want to know, Google can tell you. I have 96 comments on my video so far and that’s not including my responses to questions and comments *laughs*. The Underground: Do you plan on moving onto other consoles and modding them too? Musicmasteria: I don’t know. PS2 is the easiest console to play back up games on because of Swap Magic. No other console has a swap magic-like thing for playing backed up games. Also, the other newer consoles have a lot of protection against modding. Besides, I rather keep the warranties that I still have and wait for them to be long expired before I try modding them.. Now if someone was willing to give up their console or money for me to get one, then I would use that console solely for modding. 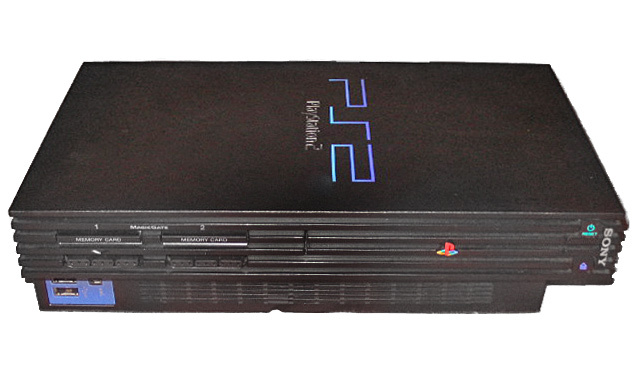 The Underground: What was the first PS2 game you remember backing up? Musicmasteria: The first game I ever tried to back up was Tony Hawk’s Pro Skater 3 (THPS 3). I didn’t even have a slide card or swap magic then and that of course didn’t work. Then, once I made a slide card, I used it to play my backup of THPS 3 with the original game (using the original game in place of swap magic). That worked but was very limited because you could only use the back up if you could play the original game up to one of the menu’s. Now that I have swap magic, I can play the back up in the case of my original breaking. To all readers: if you have questions you would like Music to answer, please, post a comment and he will reply. Thanks for reading! With the craze of the iPhone, it is no surprise that users are doing what they can to unlock the phone to use 3rd party applications, or to use the phone with carriers besides AT&T. Did you know that in three days, Apple sold over 750,000 phones, which for Motorola took them a whole month to sell the Razor phones at the same quantity? Yes, iPhone is damn nice commodity these days. Anyway, I found two great youtube videos that should have you unlocking your iPhone in no time. Enjoy!